Salesforce Rest Services are a powerful as well as convenient way to expose web services from a organization. It uses simple HTTP methods like GET , POST etc. to access and manipulate data. The data exchange format is in the form of JSON generally. The following is a sample apex class which illustrates the POST method to post details and GET method to retrieve details from an outside application. For example, something like "https://ap1.salesforce.com/services/apexrest/Account"
HttpPost method is used to capture a HttpPost request has been sent to our rest apex class. RestContext Class - Allows us to access the RestRequest and RestResponse objects in your Apex REST methods. 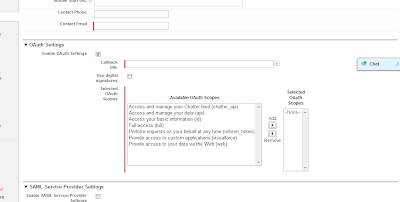 RestRequest class - Allows us to pass request data into our Apex RESTful Web service method. //Returns the RestRequest object for our Apex REST method. //Returns the RestResponse for our Apex REST method. HttpGet method is used to capture a HttpGet request has been sent to our rest apex class. 1. 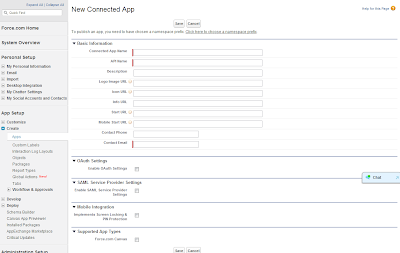 Go to Setup, click Create | Apps, and in the Connected Apps section, click New to create a new Connected App. 2. Enter a Connected App name. 3. Enter the contact email, as well as any other information appropriate to your application. 6. Click Save. The Consumer Key is created and displayed, and a Consumer Secret is created (click the link to reveal it). To call the rest apex class from outside salesforce, we either need to set up cURL or a client/system capable of making http request. Here is an example showing how to use cURL to call the REST service. FIRST we need to download the curl executable file (SSL enabled), preferably from http://curl.haxx.se/download.html (corresponding to the OS and the version) . cURL has some user friendly commands to call the rest service with OAuth authentication. This demo demonstrates how to create/query account using simple HTTP calls. This example can be extended further to accomplish more complex tasks. 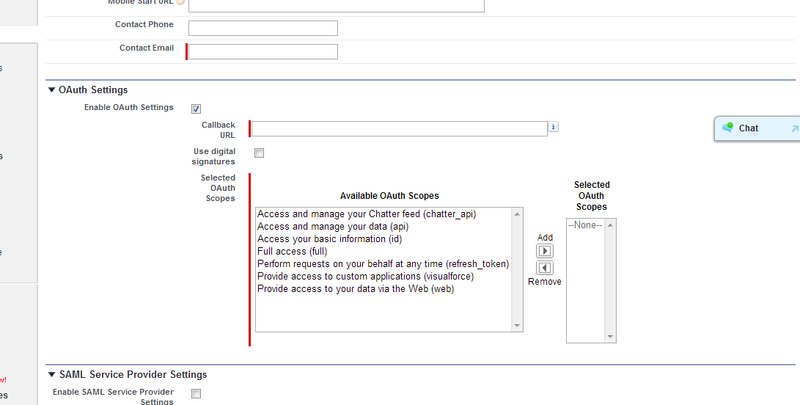 Further JSON support makes REST Webservices excellent way to integrate with External Systems including legacy systems. 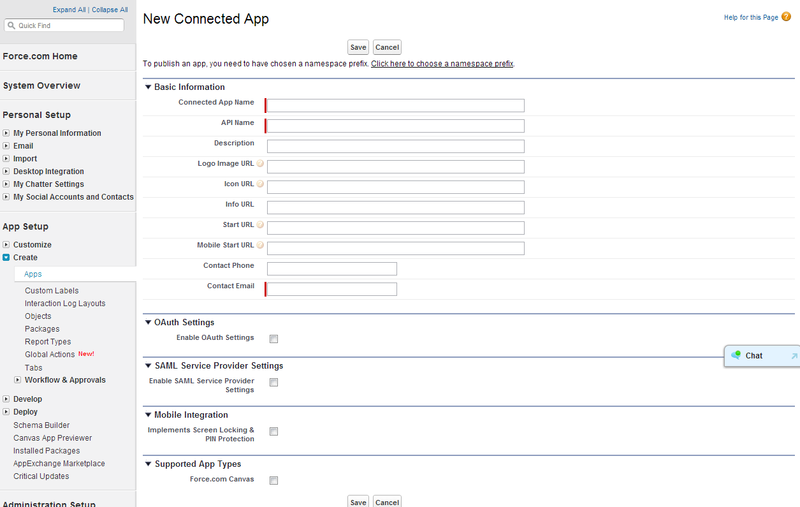 REST Webservices can be used to integrate two different Salesforce Org and let them talk seamlessly. In next part we will be covering How to use Rest Webservices to integrate two different Salesforce Orgs. I really appreciate people who share their thoughts and knowledge with everyone. Thanks for sharing your blog. Wonderful post, thanks for sharing. Attrait Solutions is the top web development company mumbai. It provide many services like development, SEO, SMO services and many more. I was looking for Web Design Nagpur Jobs came across this blog . Good information provided.Thanks for sharing with us. Thanks for the article. It was really helpful and cut my turn around time. 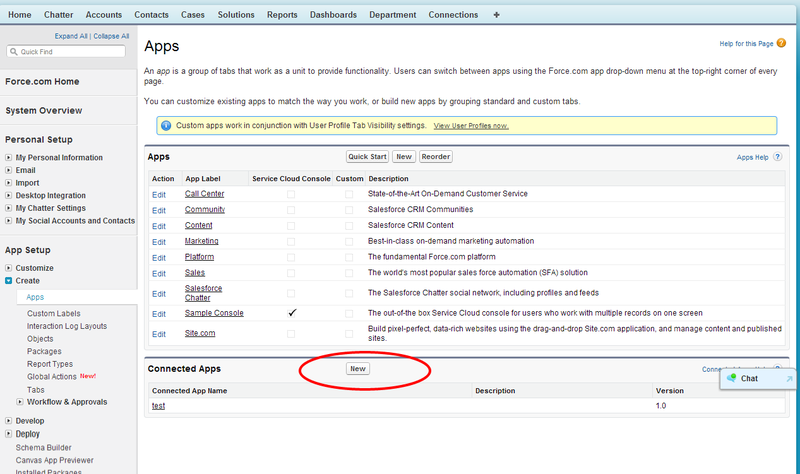 How to use Rest Webservices to integrate two different Salesforce Orgs. Learn Salesforce.com developer courses online/classroom in Delhi from top training institutes and get Salesforcedeveloper certification. Get details on course fees @91-931OO96831!! very informative post... keep updating..
i like your post.... as your post provide useful information to me...thanks for sharing... keep updating.. 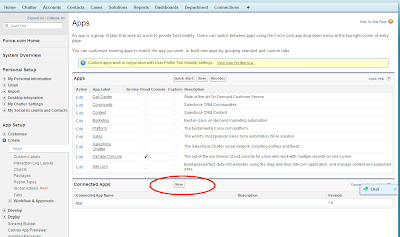 Thanks for sharing a very interesting article about Salesforce REST Webservices - Part I. This is very useful information for online blog review readers. Keep it up such a nice posting like this. This post contains significant data about web development services. Every one of the focuses said in this post are basic for a decent web improvement. Decent Post!! very useful article.thanks for posting. Keep it up, this is really very informative. Thank a ton for sharing this valuable information with us. I loved your article. salesforce consultant. great and nice blog, thanks for sharing such a nice post with us, keep sharing!! Assuredly beneficial bit of information published by you. Certainly this might be advantageous for numerous seekers. Keep on sharing this worthwhile articles. Professional Web design services are provided by W3BMINDS- Website designer in Lucknow. First this is a really Creative and Unique Article. Well, the main reason of me sharing my post here is that, We have written a detailed post on the which can be used by Content Marketing Companies. Do check it out and let us know. The post is really good, we will use above mentioned strategy in our SEO services in Bangalore.